← How do you monitor the current market situations? In the Forex market, USDJPY pair continued to rise lately. From your analysis, will this pair continue to rise? 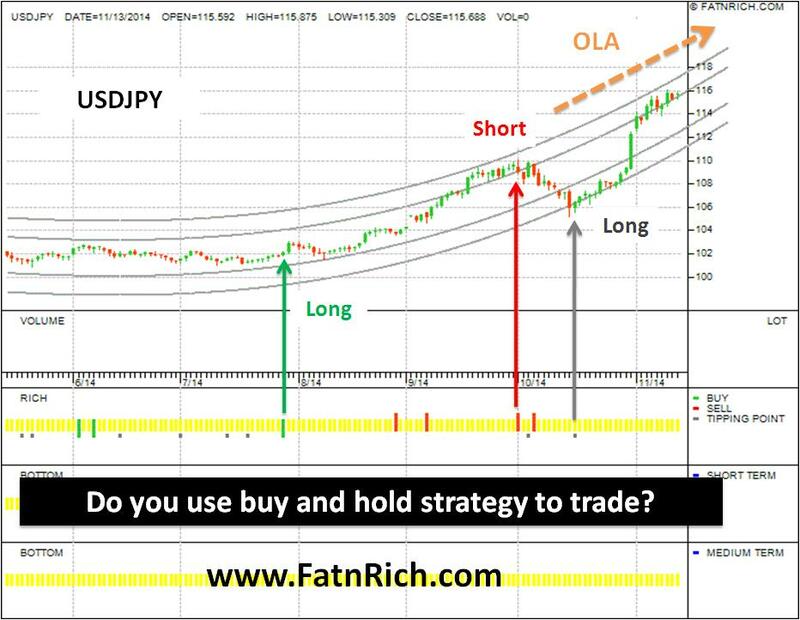 Using Buy and Hold Strategy, when is the correct timing to go for long or short? With buy and hold method, you can follow the buy and sell signals to trade. In Forex trading, you do not need to use Day-Trading only, but also Buy and Hold method to trade which can result in you earning substantial profits. Starting today, learn new methods to trade in FOREX! Kindly contact us at 04-8913 200/201; 012-475 7723 for more information. This entry was posted in Forex and tagged Forex, USDJPY. Bookmark the permalink.